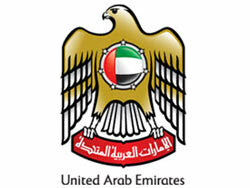 A forum exploring the special needs market begins in Dubai on 13 May 2009. The 5th annual Middle East Forum for Accessible Tourism (MEFAT-2009) will investigate the unexplored special needs tourism market. Chairman of Dubai Airports and President of Dubai Civil Aviation Authority Shaikh Ahmed bin Saeed Al Maktoum will inaugurate the forum, which is being held in Le Meridien Dubai. More than 500 decision makers, experts, professionals and staff from the aviation, tourism and retail and hospitality sector throughout the UAE are expected to attend the forum. Government officials and members of the diplomatic corps will also be in attendance. Shaikh Ahmed said the forum will focus attention on the great growth opportunities that exist in Special Needs tourism.